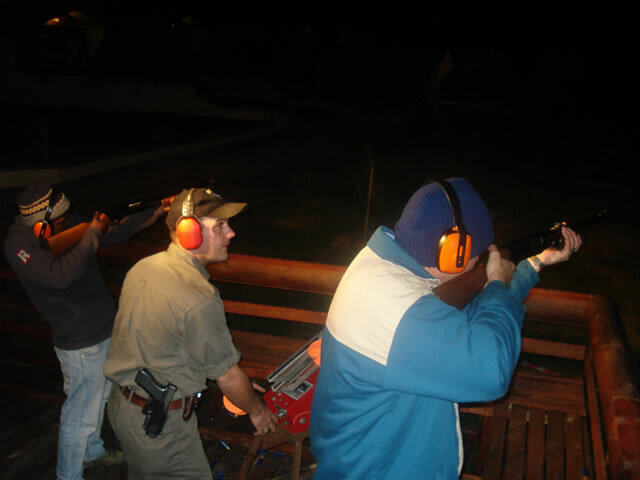 R655 per person based on 25 shots each. 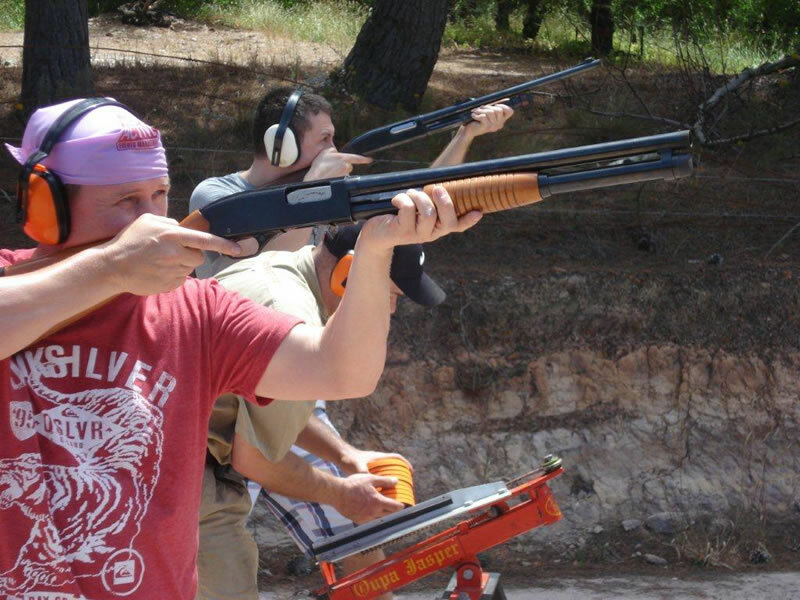 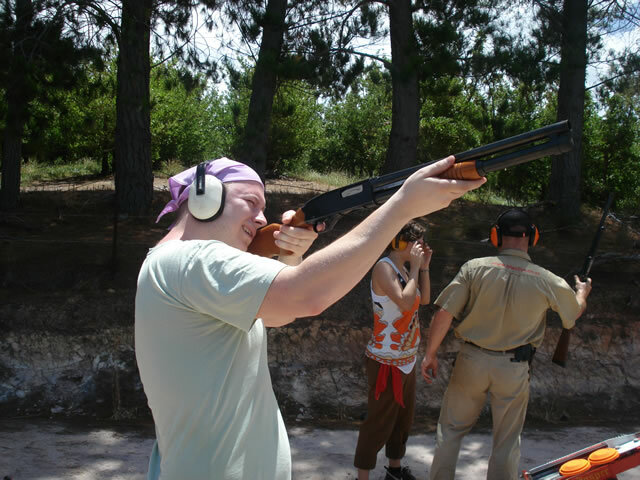 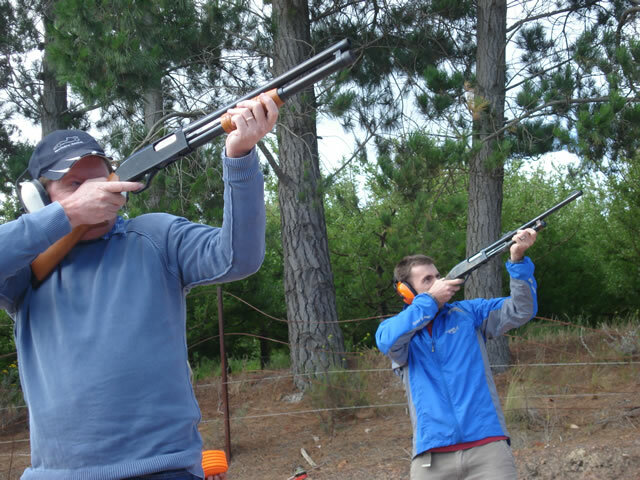 Experience the traditional clay pigeon shooting, using Winchester Defender and Remington Wingmaster 12 gauge pump action shotguns. 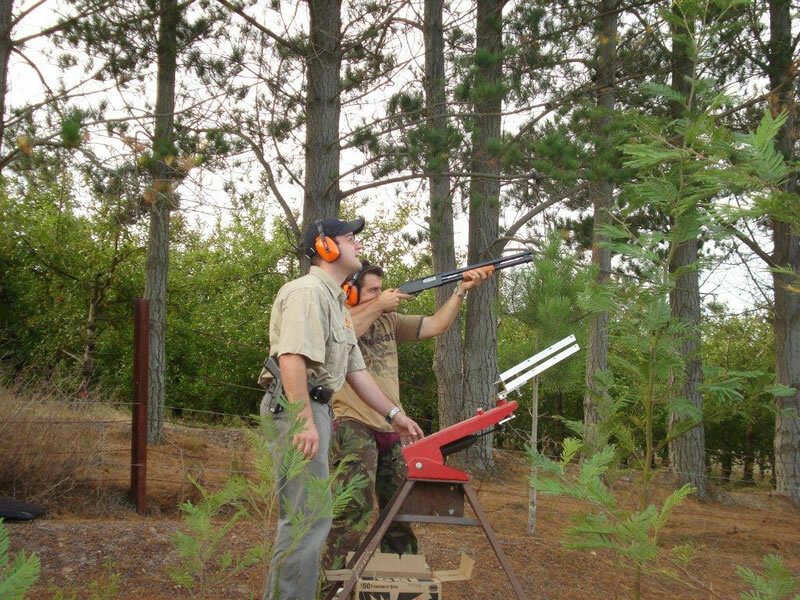 The clay pigeon, thrown from a conventional clay launcher, soars through the air as you try to shatter it with a direct hit. 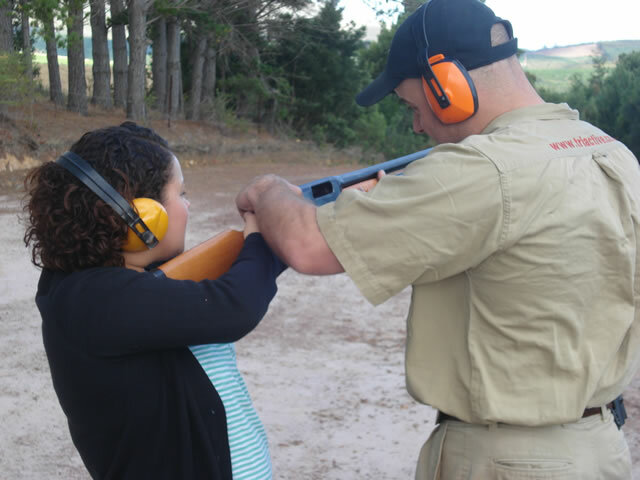 This is a completely different experience. 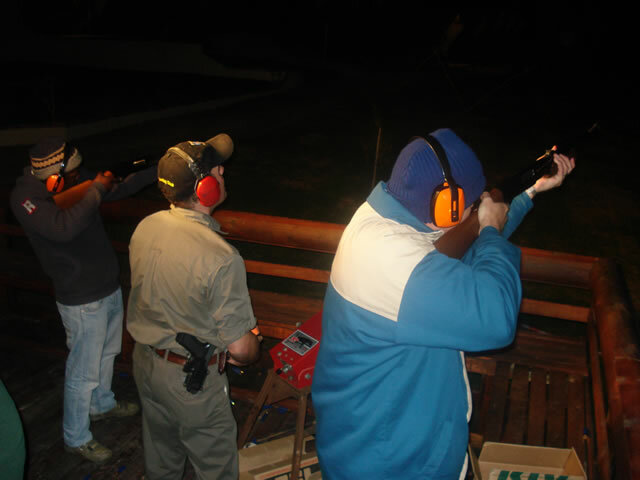 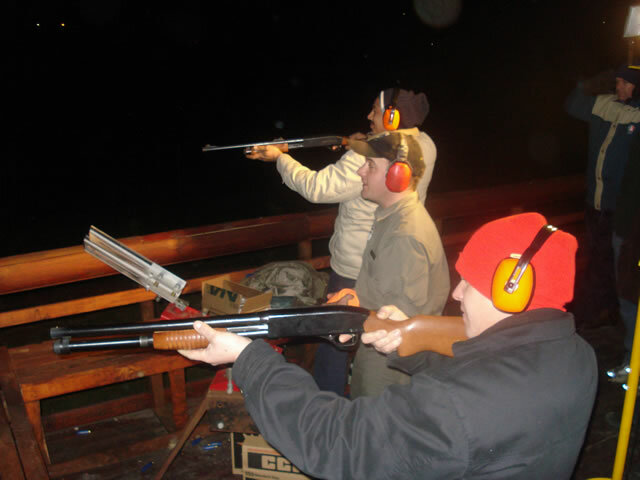 We offer night clay target shooting – large floodlights light up the clays as they fly from the trap and you track them, shatter them and score your points. 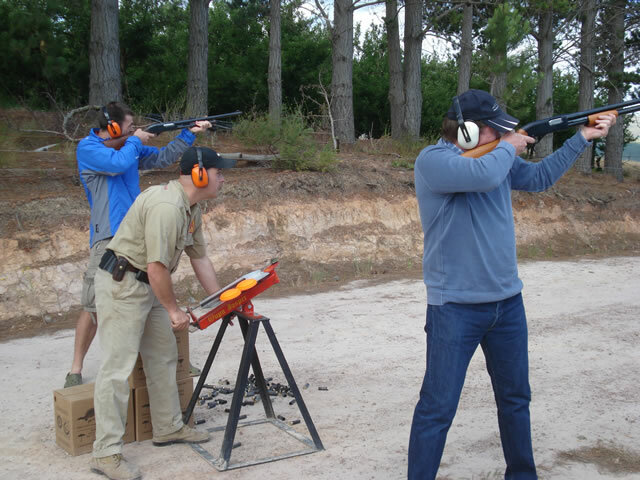 We also cater for experienced shooters and those who would just like to come and enjoy a relaxing session of shooting clays.